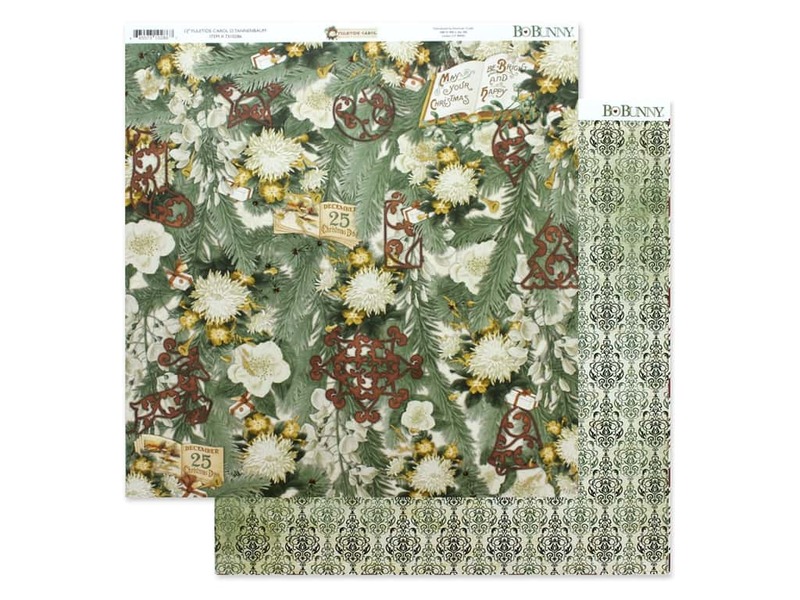 Description: Bo Bunny Collection Yuletide Carol Paper 12 in. x 12 in. O Tannenbaum- Double sided cardstock. One side has booklets, miniature presents, horns, and filigreed ornaments tucked into pines and flowers. The reverse side has small tonal green damask patterns on cream.